Includes the large format, fold out map in clean, crisp condition. Very little wear. Cover and inside pages are very nice and clean. Outside, closed page edges show some age spotting. 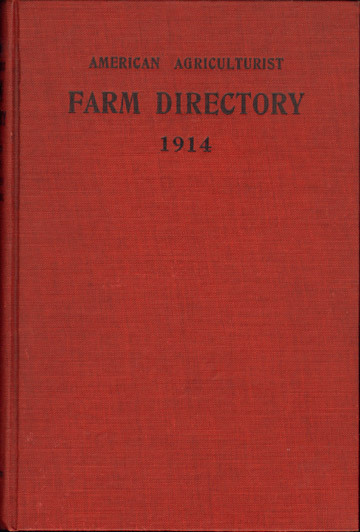 Thousands of listings of farmers across Ontario County and Wayne County, New York. Listings also include the name of the spouse. Includes the communities of Canandaigua and Lyons and numerous smaller locations. Hardcover, 422 pages plus large, fold out map of 1914 Ontario County and Wayne County, New York.